Connectors SIM cards and memory cards, a trackball, and a chip Bluetooth, installed on a single charge. The original part of the smart phone, the same set during assembly. IC memory cards, SIM cards, Bluetooth assembly with Trackball 8220MC-STB-IA for BlackBerry 8220 Pearl Flip — is the original part of the smartphone: the same set initially during assembly at the factory. 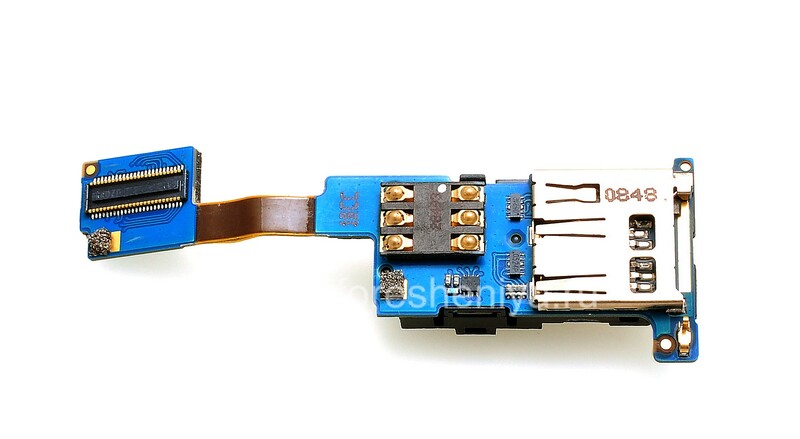 Connector for SIM cards (SIM card slot, SIM-card connector, SIM-reader) — indispensable element of the smartphone 8220 Pearl Flip, because it is the SIM card is an identifier in the networks of standard GSM, so common around the world. Connector form factor "normal SIM card". If the connector is damaged SIM cards will not be able to call, write SMS and messaging messenger and e-mail becomes impossible — smartphone becomes a "brick". Of course, the repair in this case is a must need replacing this chip. 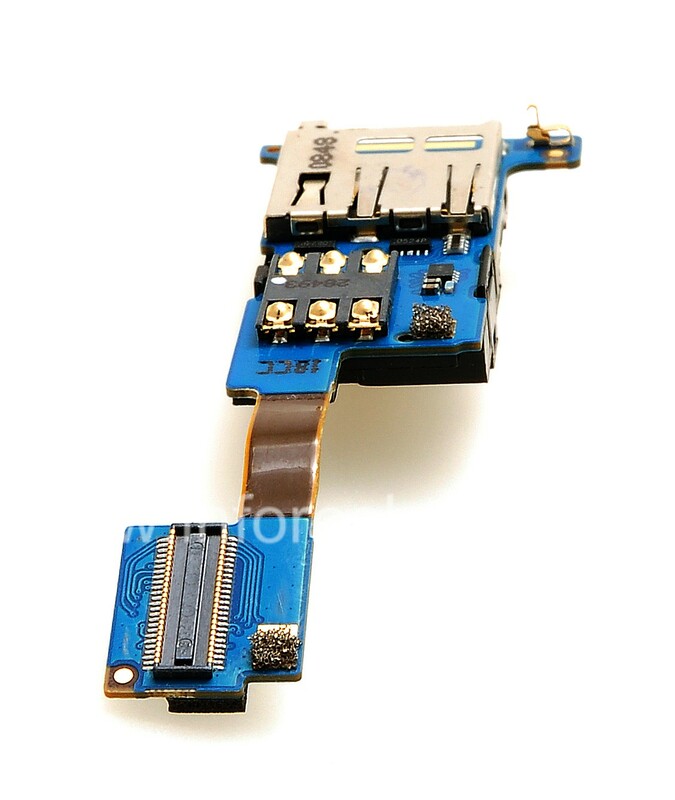 For more information about repairing connector SIM card, visit Replacing the SIM card connector. Memory card slot — your smartphone to connect memory card standard Secure Digital microSD (formerly known as TransFlash). BlackBerry 8220 Pearl Flip can work with memory cards up to 32GB (note the maximum amount of supported memory cards depends on the version of the BlackBerry operating system installed — «refreshed"!). BlackBerry 8220 Pearl Flip only supports high-speed mode SD and SDHC. In case of damage the memory card slot will not be detected, which significantly reduces the amount of memory available for storage. In this case, replacement is required card slot: Replacing the memory card slot (on the BlackBerry 8220 is easier to change the chip 8220MC-STB). Trackball navigation is the main component of the BlackBerry 8220 and quickly wears out or fails. The board 8220MC-STB-IA trackball trackball mounted on the chip, that by replacing it can solve any problem with the trackball once. This chip is also integrated module Bluetooth (enables the exchange of information between your BlackBerry 8220 and other devices such as PCs and laptops, other mobile phones, headset on free and universally available radio frequencies for short-range communication). If you have problems connecting Bluetooth, probably The chip needs to be replaced. Consult our experts.